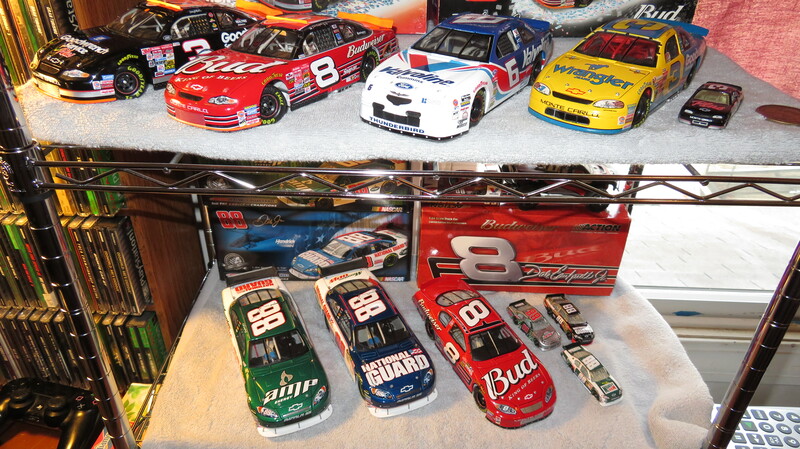 Discussion in 'NASCAR Diecast and Collectibles' started by Alan Harkleroad, Jul 10, 2014. EDIT: Looking at the picture, I really need to wipe it down. It was kept in someone's open display case prior to me buying it. USSTalladega, BrendonH12, joeykraus19 and 1 other person like this. I've had that win for awhile. 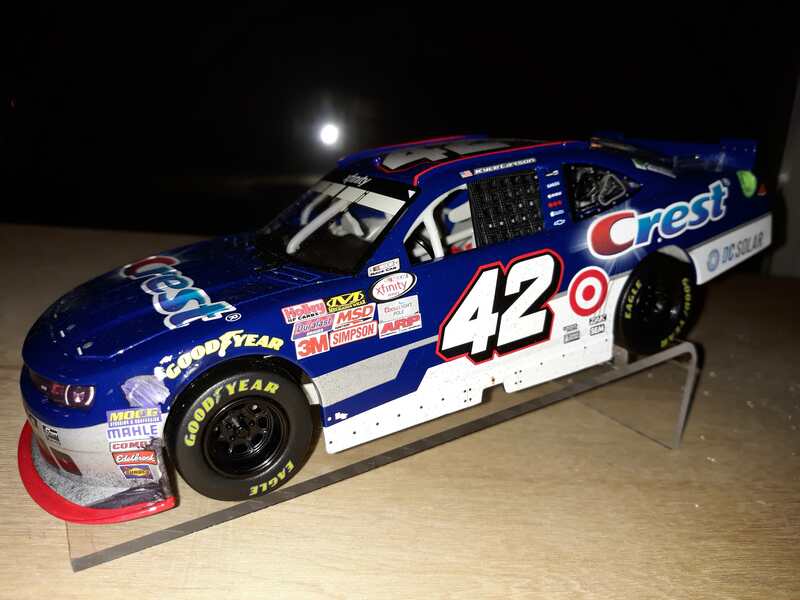 I love that paint scheme. USSTalladega, Phoenix, Bitbreaker and 5 others like this. Another one... pictures don't do this justice. The silver is so damn good. USSTalladega, Phoenix, nascarfan9 and 3 others like this. Wave 3 is on shelves now with featuring the first rucks available on store shelves since...I don't even know when. Also, kinda surprised this hasn't been posted yet but they are getting with the blind bag fad offering 1:87th scale cars starting sometime this summer. Probably 7 or 8 possible cars per wave. 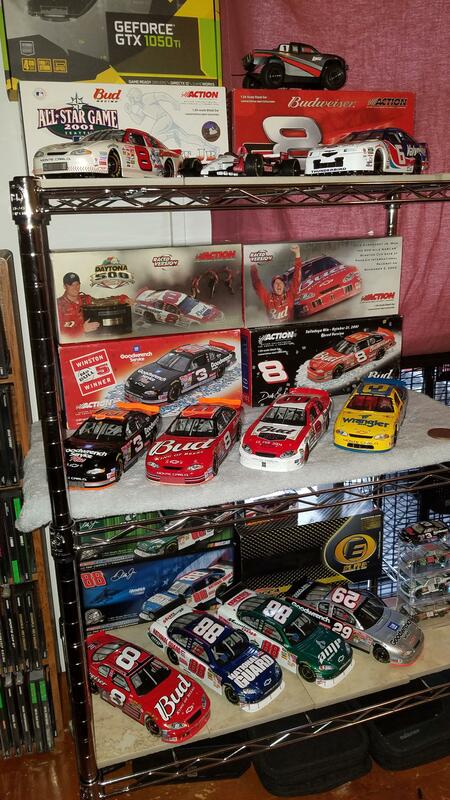 Been getting the diecast bug as of late. He's a few of mine. USSTalladega and joeykraus19 like this. 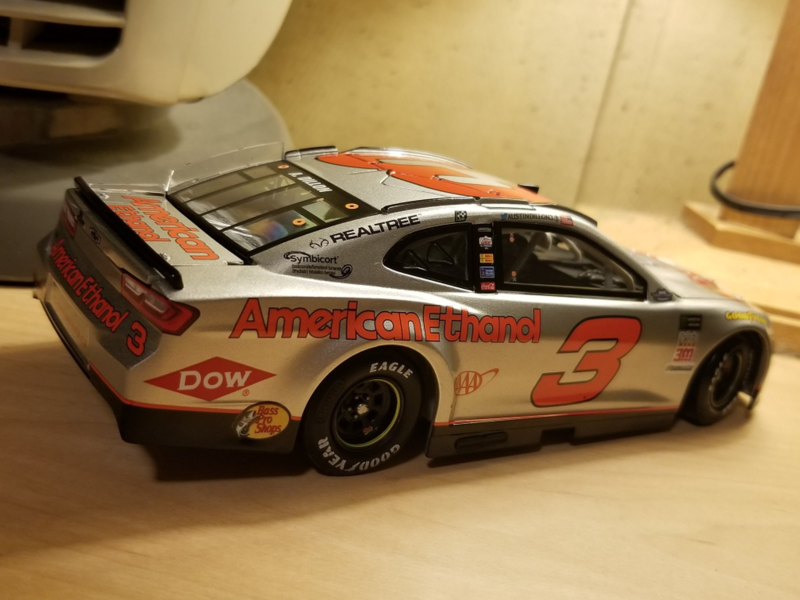 New Austin Dillon auto I snagged at Richmond this weekend. Was only $60. A really cool car. USSTalladega, joeykraus19, nj9703 and 2 others like this. 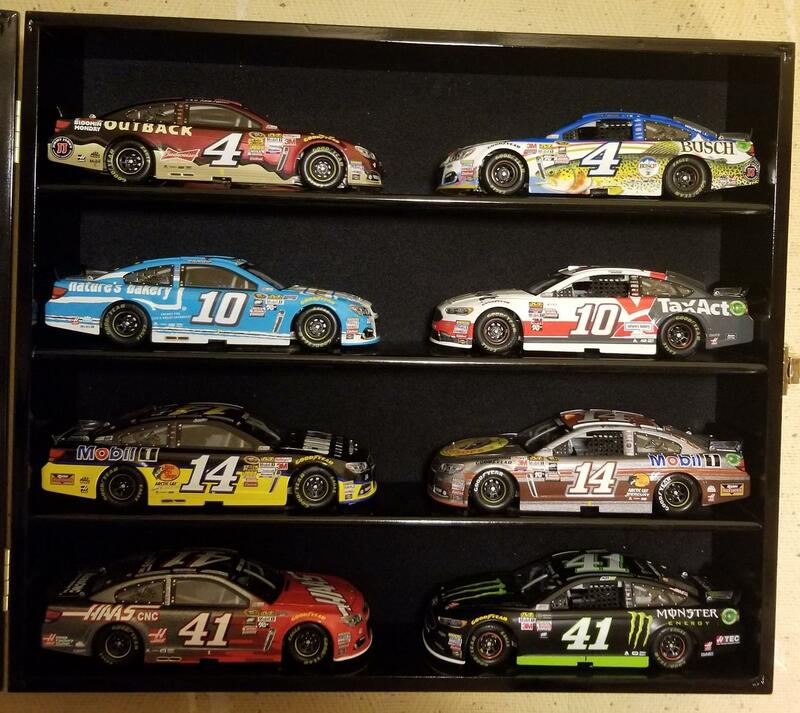 Just got my display up and a few new diecasts came in the mail this afternoon! USSTalladega, Tetronix and joeykraus19 like this. joeykraus19 and TheOutlaw1272 like this.